RSW- Artwork page, "Under the Village Map"
See also the Still Life Gallery to view related pieces. 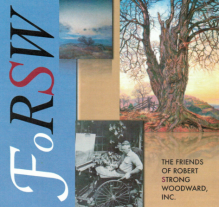 Read these Scrapbook stories for more about RSW's Studios and fires. "Painted prior to 1930, an autumn still life made in the old studio that burnt in 1933. 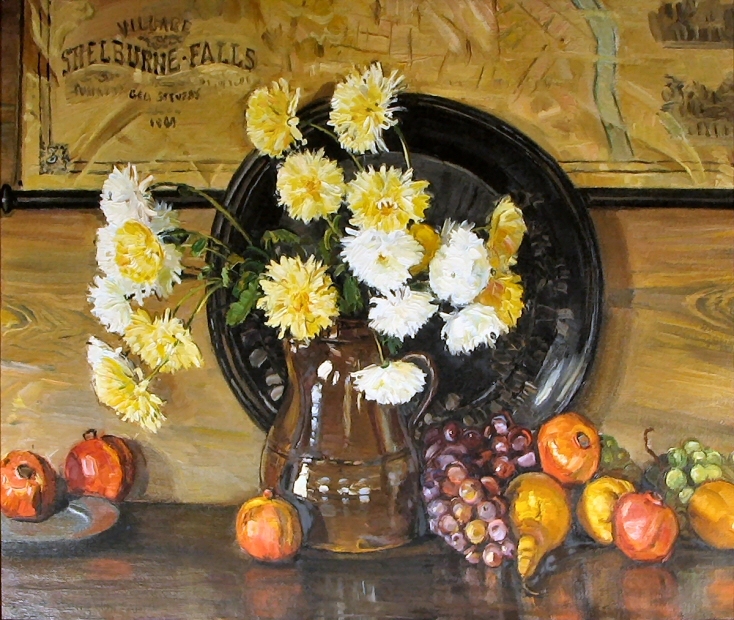 Yellow and white chrysanthemums in a brown jug backed by a round black Italian plate all against the lower part of an old wall map of Shelburne Falls, grapes and pears and pomegranates grouped on the cabinet around the brown jug. Rather academic and trite in approach but still nice color for the right wall." 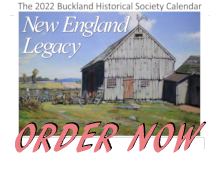 May 28, 1935: "In my motor car brought home from Myles Standish Hotel : Under the Village Map, 27 x 30" to studio in Buckland." "Under the Village Map, showing a fruit and flower composition arranged below an old map of Shelburne Falls......"
"Under the Village Map shaggy yellow and white garden chrysanthemums in stout brown jug hold court amid a wealth of colorful fruit grouped harmoniously about." 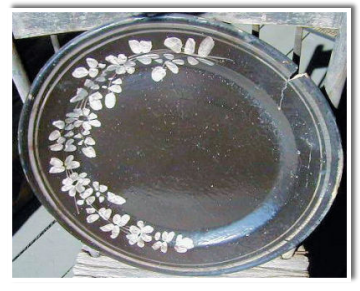 This is the plate made in Italy which RSW painted into the above painting. It remains in the artist's Buckland studio. Click on image above for enlarged image.